A tiny kitten named Morel came to the Dane County Humane Society (DCHS) in Madison, WI: sick, thin and crusted with ringworm lesions. At many shelters, this sickly kitten wouldn't have had a chance, but Morel was lucky. 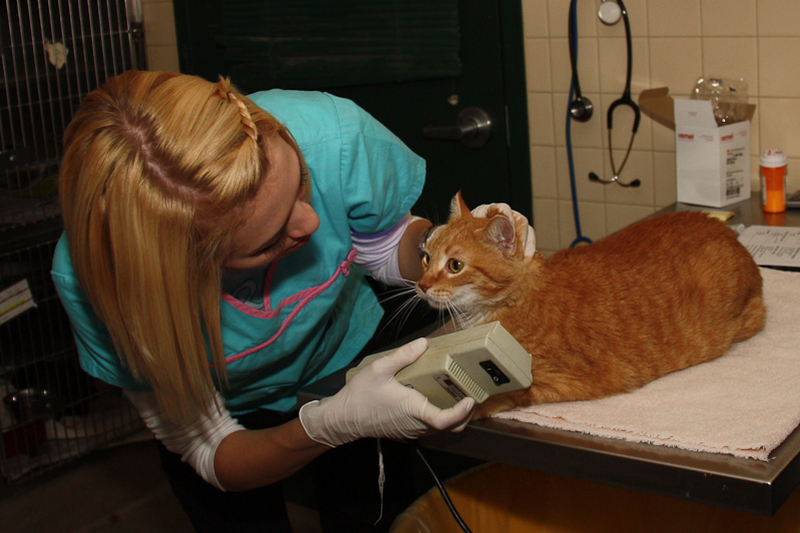 Since 2003, DCHS has operated a cutting edge ringworm treatment program, and the kitten was admitted to it right away. Fifty-three days later, Morel graduated from the program, a sleek, happy cat who was shortly adopted by his forever family. And all cats currently being treated for ringworm at the shelter have graduated, too - from the vintage trailer that housed the program until last year into the Maddie's® FIT (Felines In Treatment) Center, a brand-new structure featuring exam rooms, a dermatology lab, two kitchens, a laundry and dip rooms. "It's 2,000 square feet of loveliness that we are just thrilled to have," said Beth Rodgers, who heads up the ringworm program at DCHS. The specific treatment protocol that saved Morel, his littermates, and around 700 other cats can be viewed and downloaded here on the DCHS website. It was developed by Karen Moriello, DVM and DACVD, at the University of Wisconsin and Sandra Newbury, DVM, who was then director of animal medical services at DCHS. "The original program arose in response to a very passionate group of volunteers that wanted to be able to at least try and treat ringworm positive cats, because they had seen a number euthanized for no reason but ringworm," Rodgers said. "Without that core group of volunteers willing to take on daily care and the not-so-pleasant task of dipping cats and making sure they made it through treatment okay, the program would never have gotten off the ground." In order for the program to be successful, she said, DCHS tests every cat who comes in the door. A cat who cultures positive for ringworm - which doesn't mean the cat actually has the condition, just that spores are present - is examined more closely. "We have a set of protocols that we follow, based on how much growth we see on culture, and what the cat looks like on physical exam, to let us know if they need treatment," Rodgers said. "If they do, they're evaluated for behavior to make sure they're a good candidate for it. Unfortunately, feral cats can't be admitted to the program, because the amount of handling they'd require would be too stressful for them, and would be difficult for the handlers, too." Cats in the program all receive oral anti-fungal medications, and get twice-weekly lime-sulfur dips. They are cultured weekly, to track their infection as well as their cure. "We need two negative cultures in a row to consider a cat ‘cured,'" Rodgers explained. "With using the cultures to verify cure, you're not just going by ‘does the cat look better'"? The average length of treatment is around five weeks, with kittens housed with their littermates taking the longest. Cats who test positive for ringworm but have very little growth on the culture and no symptoms of the condition on physical examination are sometimes re-cultured, given a preventive dip, and then put up for adoption. "You really need to take the time to look the cat over very closely," said Rodgers. "We use a regular visual examination as well as a Wood's lamp, which can be valuable in identifying if there is ringworm present, although it's not definitive." Because cats with ringworm are highly contagious, the new facility permits affected cats to be kept in complete isolation from the rest of the shelter population. "Our volunteers do not go into the main shelter, to reduce risk of transmitting ringworm from the quarantine area into the general population," Rodgers said. "We have areas where you can only enter with booties and gloves, which helps protect our cats from transmitting the spores back and forth, and prevents our volunteers from taking ringworm home with them." In addition to strict quarantine, the treatment center maintains very strict cleaning protocols, something made much easier in the larger facility, where cats are housed at waist-height instead of near the floor. The facility also allows them to continue to treat cats who develop upper respiratory infections while being cared for, without spreading it to the other cats. Ringworm and URIs aren't the only things being addressed while the cats are in treatment. "Managing stress levels in cats is difficult in any shelter environment, but it's particularly challenging with ringworm cats," Rodgers said. "Because the cats can't be housed in community settings or allowed to run around on the facility floor, one of the challenges we face is making sure they get enough stimulation and good experiences to outweigh the negative aspects of treatment." That was extremely difficult in the old trailer, she said. "It was very cave-like, especially in winter, because we had to keep the shades down to keep the heat in." All that's changed now, however. "The F.I.T. Center is bigger, brighter, more modern. It provides the cats with great gazing opportunities because it has walls of windows, with lots of stuff going on that they can look at. And as our plantings mature, we'll be able to attract birds and butterflies so the cats can have interest that way, too." The new treatment center is also much less stressful than the shelter itself. "Shelters are very busy places, with a lot of noise and hubbub, but the cat ringworm center is very quiet," Rodgers pointed out. "We keep a routine of coming and going, so there's not a lot to disrupt their sleep. It's quiet and restful." 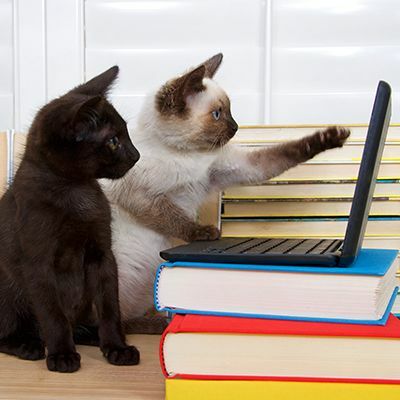 Rodgers also emphasized the importance of frequent attention from people in keeping the cats happy and stress-free. "The volunteers are great at understanding that, because we're constantly medicating and dipping the cats, they also have to get a lot of good handling," she said. "So they spend a lot of time with the cats on their laps, and providing lots of TLC." The socialization and affection the cats get from their caregivers means that a clean bill of dermatologic health isn't the only benefit of going through the program. "The staff at the shelter calls our cats ‘the trailer cats' because the program used to be located in the trailer," said Rodgers. "It's very common for them to say, ‘This must be a trailer cat, they're so sweet!' And they're right; these cats do tend to be very loving." The most difficult part of treating cats for ringworm? Helping kittens cope with the confinement and restrictions of the program. "We had a mom with ringworm who gave birth in the shelter and passed it on to her kittens," Rodgers said. "Talk about a challenge! These kittens were only 16 days old when we moved them with their mother to the F.I.T. Center. Mom and babies spent another 4 weeks together, until she weaned them." The kittens were a handful to manage, and could be a real challenge to keep from leaping out of the cage when it was opened. They weren't able to begin treatment right away, either, because they were so young, which meant they had to be in the program longer than other cats. "But we did it," Rodgers said. "I'm proud of us, and proud of mom, and happy we were able to give them a chance. And now, if it happens again in the future, we know we can handle it." DCHS's approach to ringworm treatment has been extremely successful in making sure cats who have ringworm don't get adopted until it's treated. "Any cat who is returned to us with ringworm, we take environmental cultures in the household," Rodgers said. 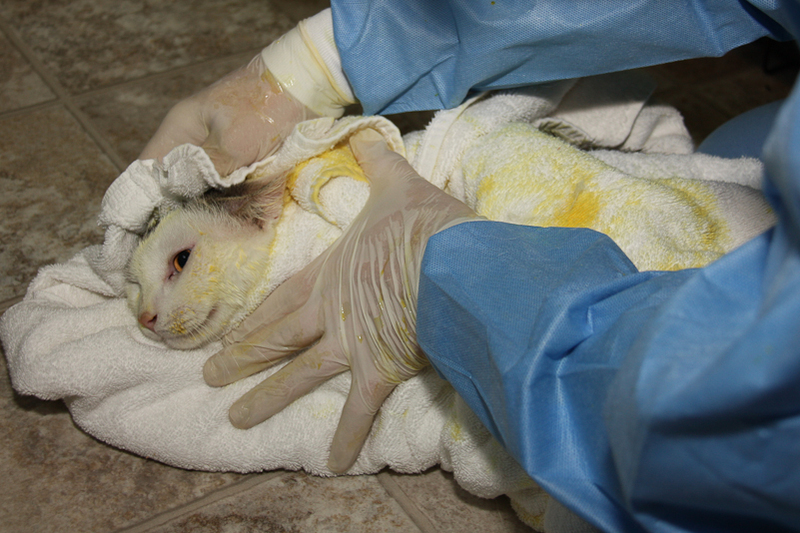 "Those cats who do come back to us with ringworm generally get it from their environment." Before implementing the new program, DCHS had tried putting cats into foster homes to be treated for ringworm. "Lots of people would volunteer to treat cats at home, but then you end up with a foster home that's contaminated with ringworm," she said. "You put the public at risk, because ringworm is a zoonotic disease. There were a number of volunteers willing to take the risk, but the program we have now works better, without putting our volunteers' families, or the public, at risk." DCHS continues to work closely with the University of Wisconsin on the ringworm program. "My go-to person for veterinary questions is Dr. Maria Verbrugge of the vet school," said Rodgers. "If I have questions about treatment or environmental cultures, I ask her. She also gets our weekly test results, so they can read the cultures and verify a cure." The university is continuing to compile data and consider future studies, she said. "They keep learning things from our experiences. We have a steady supply of ringworm cats and if we can come up with faster and less intensive treatment regimens that work, we'd be glad to share that with everyone." Rodgers, who got her start as a volunteer before being hired to run the ringworm program four years ago, stresses that medical expertise is only part of what makes their program work. "What's most impressive about the program is that 90% of the work is done by volunteers," she said. "Some people wonder how you can turn a whole section of your shelter over to volunteers, but I trust them. I'm always impressed by what they'll do, and the sacrifices they'll make so these cats will have a chance they wouldn't have at a lot of shelters." Rodgers is proud of the whole program, in fact. "We're removing a threat to the shelter and to the public. Since we culture every cat who comes in, we know we're not sending out a cat who could give another cat, or a human family member, ringworm. I just hope that other shelters and programs can learn from this, and implement some of our protocols. 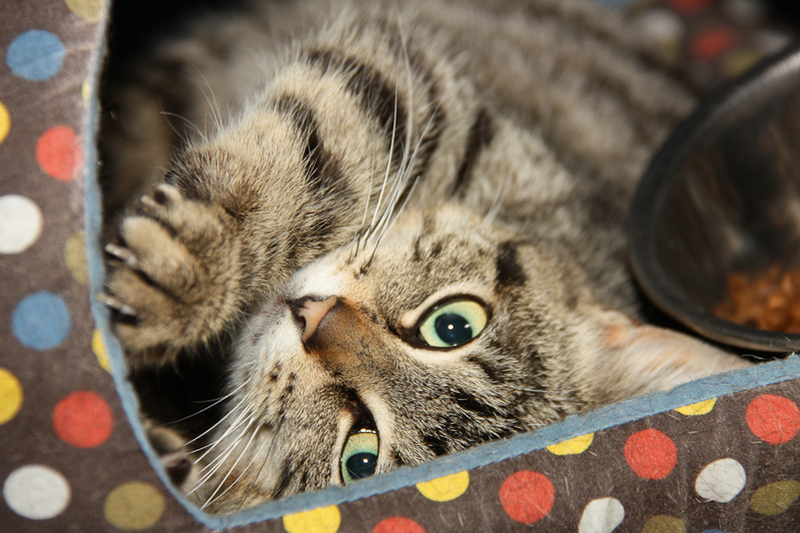 They save cats' lives, and help keep the world ringworm-free at the same time." To find out more about the Dane County Humane Society's Ringworm Treatment Program, click here.